Doug Everett Johnson was born on November 8, 1942, to John Horace, Sr. and Jemima Johnson in Sioux Falls, South Dakota. He grew up on the family farm and graduated from West Lyon High School. In 1964, he graduated as a licensed medical laboratory technician from the Professional and Business Institute in Minneapolis. He worked as a lab technician at hospitals in Andrews, TX; Lubbock, TX; Springer, New Mexico; and Sioux City, Iowa. In 1968, he married Judy Collier at a rural Muscatine church. They had two children and moved to Manson in 1972. He worked for Fort Dodge Animal Health for 30 years and retired in 1999. 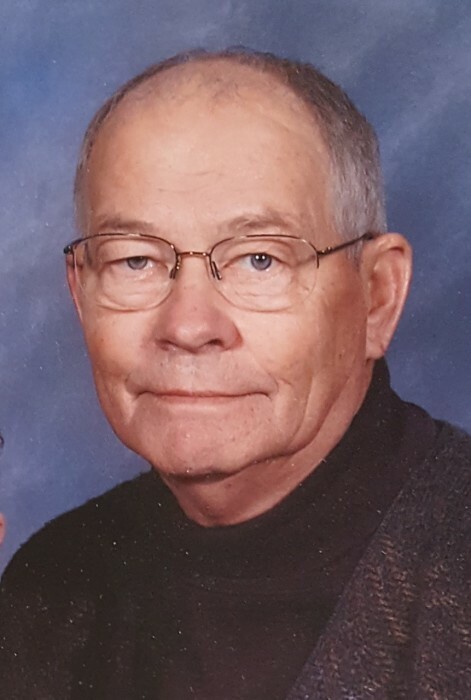 He enjoyed golf, gardening, fishing, traveling with Judy, wintering in south Texas, and watching his grandchildren in all of their activities. He was always at home in his rose garden, which he lovingly tended for his wife. His yard was always in bloom, and he enjoyed the outdoors more than the indoors. He was preceded in death by his parents Horace and Jemima Johnson, brother John Horace Johnson, Jr., father-in-law Warren Collier, brother-in-law Greg Lyon, and his wife Judy Collier Johnson. He is survived by his daughter Tawnya (Mike) Fields of Polk City, Iowa; son Clint (Angela) Johnson of Swisher, Iowa; grandchildren Noah and Sabrina Fields; sister Jennifer (Roger) Lorenzen of Hornick, Iowa; mother-in-law Miriam Collier of Wilton, Iowa; his sister in-laws, Karen Johnson of Inwood, Iowa; Linda (Dale) Hupp of Riverside, Iowa; Kathy Lyon of Clarence, Iowa; his brother in-laws Ken (Lynn) Collier of Clintonville, WI; Gordon (Anne) Collier of Muscatine, Iowa; and Jim (Vicki) Collier of Durant, Iowa; many nieces and nephews and great nieces and nephews. In lieu of flowers, memorials are preferred to the Our Savior United Methodist Needy Fund.